Perrine Mathieu is a Franco-American aerospace engineer with a Bachelor of Science in Physics from McGill University and a Master of Science in Aerospace Engineering from the University of Texas at Austin. She has worked with Scilab through her profession and studies on both side of the Atlantic. 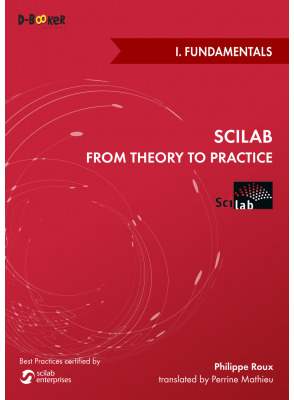 This book will teach you all the basics you need to compute, program and create plots with Scilab. Best practices certified by Scilab Enterprises ! Version française disponible ici. Print version also available on Barnes&Noble , Amazon US or UK and other main online bookshops !